This second part concludes FNArena's deep dive into threats and outlook for coking coal in a more carbon sensitive world. Another direct threat to coking coal is the use of substitutes in steel production. Most of these will not be in place for at least five years but they are worth examining. One substitute is Hydrogen (H), H2, and H2O using electrolysis, which is said to require 10-20 years of development before full commercialisation (matching the coal phase-out timeline). Using electrolysis has several advantages. It results in purer metals and lower energy consumption – the process is up to 30% more efficient. There is also a process called direct reduced iron, which uses natural gas to concentrate iron ore into pellets within a furnace that requires less or in some cases no coke; has much lower CO2 emissions; and would be substantially less expensive. Within five to 10 years they are predicted to replace blast furnaces. This process is already being used in small operations in countries where coal must be shipped in. The US National Renewable Energy Laboratory’s wind to hydrogen project has been operating for five years. It uses iron ore pellets for reduction. Austrian steelmaker Voestalpine has a hydrogen project in the pipeline and Sweden is going full tilt at developing a 100% carbon-free production method using hydrogen – the holy grail of steel production. Water is the byproduct. Called HYBRIT, and using hydrogen produced from renewable electricity, the project is in a study phase until 2024 and the Swedish steel firm SSAB expects to have a demonstration plant ready in 2025. Coking coal substitutes can also be used in existing blast furnaces in combination with coke using polymer injection technology. Waste plastics, for example, the majority of which are landfilled or incinerated), are far more energy efficient. This technology is being used mainly in Japan and Europe. The main obstacle to its widespread adoption is the cost of collection and treatment of plastics, but the rollout of ESG investing and a carbon tax could shift that balance. Tyres can also be used as a coke substitute in electric arc furnaces, which constitute 31% of total global steel production. The University of NSW in collaboration with Onesteel, has developed polymer injection technology in which carbon and energy are sourced from used tyres rather than coking coal in electric arc furnaces. One million tyres equates to 15,000 tonnes of coal (which compares with world coking coal consumption of roughly 1bn tonnes a year). Given nearly 3bn tyres are produced each year globally, supply is practically guaranteed. The process also produces a more stable foamy slag, which further improves efficiency. The byproducts are hydrogen and carbon monoxide. The UNSW polymer injection technology has been patented internationally and is being commercialised. Monash University has been working on a technology using Victorian Brown coke, which is a cheaper substitute and contains less carbon than coke. These are just a sample of coal-substitute projects on the global drawing board. Then there are the indirect challenges to coking coal. The first is the rise of recycled steel. Steel can be practically 100% recycled indefinitely without significant loss of mass or quality, and does not require a new injection of carbon from coal. Electric arc furnaces produce about 31% of the world’s steel using scrap metal, and the world plans to increase this to 80%. The World Coal Association says the average blast furnace uses 600kg of coking coal to produce a tonne of steel while the average electric arc furnace (using mainly recycled steel) needs just 16kg. With renewable energy inputs, the footprint falls dramatically. Electric arc furnaces are cheap to build, flexible and have short cycle times (less than 60 minutes) and can make steel of specific character in small batches. Advances in arc furnace technology also allow direct reduced iron to be used to supplement recycled steel. Boston Consulting Group expects between 50% and 70% of global steel will be constructed from scrap produced in electric arc furnaces by 2050. The West has large reserves of scrap metal and is already restructuring in that direction. In the United States, which has huge scrap metal reserves, recycled steel constitutes 65% of new steel. Goldman Sachs estimates that China may reach 20% recycled steel by 2020 and by 2030-2040 it could approach 30% to 39%. The rate at which this trend accelerates will be a significant factor in setting demand for coking coal within the decade. Another factor affecting coking coal is steel demand. Pundits are forecasting a decline in construction-led demand, competition from alternative materials, and the affects of carbon penalties. Goldman Sachs expects a dramatic scaling back of iron-ore demand due to slowing in construction demand and growing steel recycling. The construction threat is likely to hit the market past 2023, given steel demand is expected to remain fairly firm in the near term. Then there is the rise of alternative materials. Manufacturing a car requires as much carbon as driving one. The body and chassis constitute more than half the weight of an average vehicle. As the carbon tax looms and ESG tracking is cemented, incentives will be strong for auto companies to seek lighter replacements with a lower carbon footprint. The Centre for Automotive Research in the US forecasts high-strength steel use will peak at 15% of total vehicle weight composition by 2020 before gradually falling to roughly 5% by 2040 as other lightweight materials gain ground. Already, aluminium has replaced steel in parts of cars for practical and safety purposes. Aluminium is half as dense as iron and is a material of choice in electric cars given the translation of weight savings to the battery or payload capacity. But aluminium is two to three times more expensive than steel. It is also more costly to recycle. New technologies are being developed. Given the respective properties and costs of the metals, steel is most likely to be used in small cars, and aluminium in large cars. Carbon fibre has also been mooted as a steel substitute, particularly because it is lightweight, reducing fuel costs. But, at present, it is too expensive. A carbon tax combined with advances in technology could change that. Pre-stressed laminated timbers (which has issues of its own) could replace steel in construction. The aviation industry is expected to adopt nano-materials within 20 years. These lattice-like materials are super strong and super light and would be used in the new generation of “flying taxis” and other aircraft. Indeed, the global market for composite materials is forecast to grow at an average compound annual rate of 7% a year across diverse sectors ranging from aerospace to automotive and construction. Other substitutes include much cheaper chromium alloys from electric arc furnaces. But the steel industry isn’t taking these affronts lying down. Steel is four times stronger than aluminium and advanced high-strength steel can be made thinner. It is the most recycled material in the world and is cheaper to recycle. Add to the fact that many of its markets are expected to expand, then it should remain well supported even if its share of a likely expanded market declines. No discussion on coal would be complete without the inclusion of Asia. China is the biggest manufacturer of steel in the world – producing around half of total global production. When China sneezes, coking coal catches cold. In 2015, President Xi announced a series of steel industry reforms, one of which was a plan to remove 150Mtpa of capacity by 2020, which included the removal 120Mtpa of induction furnace capacity almost overnight. This sparked a recovery in the steel price (which is being used to fund upgrades to mills) but a sharp fall in the coking coal price. Steel mills across China have been upgrading production facilities to include larger and more efficient blast furnaces and cookeries, further pressuring coal prices in recent years. According to Reuters, roughly half of China’s steelmaking capacity will have to comply with new emissions targets by 2020 and ultra-low emissions standards by 2025. China has committed to cutting CO2 emissions per unit of gross domestic product by 60-65% from 2005 levels. After charging ahead, they collapsed towards the end of 2018, spurring a recovery in the coking coal price. China also recently banned coal imports at one port, again causing market angst and demonstrating how China’s vagaries are likely to continue to drive volatility in the coking coal price. Overall, most pundits agree that China’s megatrend of declining steel production will hold – particularly as scrap metal reserves rise, the rate of urbanisation rises and its population ages. Miners are pinning their hopes on India, which is tipped to overtake Japan and move from third to second-largest coking coal consumer after China. India does not face the constraining ageing demographics of China and the West, it has very low levels of scrap-metal, and it is in the very early stages of industrialising and urbanising. Less than 10% of India’s middle class owns a refrigerator. But, as highlighted earlier, the gap between China’s and India’s present consumption is huge. It is therefore unlikely gains in India will be able to offset China’s reductions. Indian steel consumption is forecast to rise to 158kg from 61kg per capita and coking coal demand is expected to rise 25% by 2020. Steel Guru says Indian demand is forecast to grow at 8.8% per year out to 2023. Europe meanwhile is accelerating its exit, as is the United States. That brings us to the coal price forecast out to 2023 and beyond. Most pundits expect steady demand for coking coal out to 2023 and believe this should put a solid floor beneath prices. Given the product’s price sensitivity to steel demand, volatility may trigger a spike as low as US$100 a tonne but by and large the price of coking coal is expected to hold around the US$150 a tonne mark. Coking coal’s average price was US$187 a tonne as at September 18. Peabody Energy expects the price will fall to US$157 in 2019 and US$145 a tonne in 2020, but expects demand will grow between 2% and 4% to sit near 1bn tonnes a year. Wood Mackenzie predicts coking coal will stay on average above US$US150 a tonne until 2023. 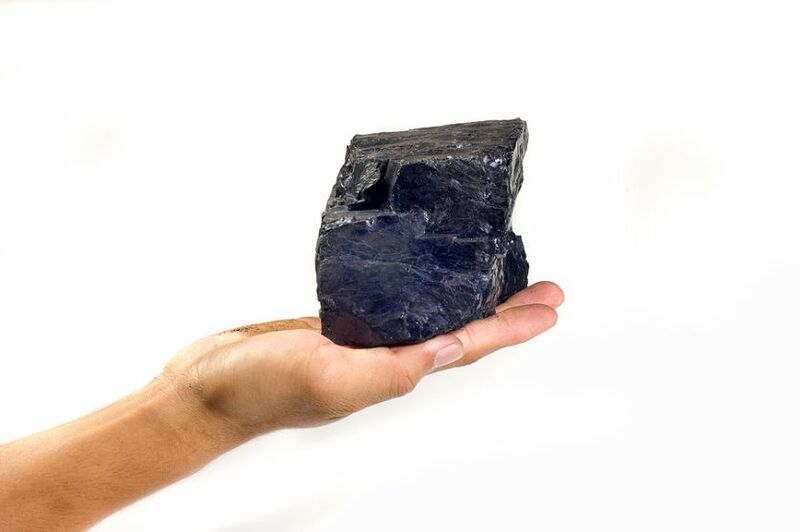 In its February 2019 quarterly coking coal report, KPMG’s compilation of market forecasts show the market expects the hard coking coal price will average US$179.10 in 2019; US$159.20 in 2020; US$154.40 in 2021; US$150.80 in 2022; and US$151.50 in 2023. Price transitions are expected to feature between 2024 and 2030 as prices flirt with the marginal cost of supply. Peabody suggests investors will be targeting companies that display operational excellence; financial strength; sound portfolio management; high-quality assets; strong demand centres; focused lobbying on “licence to operate”; advocates for favourable energy policy; and adoption of technological advances that cut costs, carbon emissions and water use. The outlook for coking coal is not as harsh as that for thermal coal but it too could suffer a dramatic reversal of fortune given the intense pace of change and disruption marking the shift to a carbon-free world. Coking coal is facing challenges on six fronts: more efficient coking-coal blast-furnace technology; coking coal substitutes; alternatives to blast furnaces; the rise of scrap metal recycling; competition to steel from new materials; a likely carbon tax; and ESG penalties. Consumption in the West, which has large reserves of scrap metal, is waning. China is committed to reducing its carbon footprint and its megatrend of declining coal demand is expected to prevail. Russia’s consumption is expected to rise. India is the main wildcard, but as it represents only 7% of the world’s CO2 emission, any downward movement in China’s demand is likely to outpace growth in India. While most pundits expect coking coal prices will be fairly steady for at least five years, the above pressures will come to bear post 2025. In the meantime, the coking coal price is expected to be subject to volatility but remain on a downward arc with steady to slightly firmer demand providing a floor.